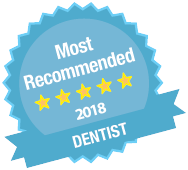 If gum disease has developed beyond the early stages, a thorough clean under the gums, known as root planing, will be required to remove hidden bacterial build up. 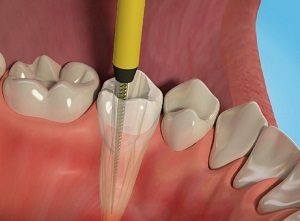 This involves scaling of the root surface, which can reduce inflammation of the gum tissue. Surgical procedures can also be used to address deep gum pockets. The chief risk factors for gum disease are poor oral hygiene, smoking, diabetes, having a genetic propensity, a lowered immunity and certain medications. Early diagnosis and prevention are the best ways to help reduce your chances of developing the disease. Taking care of teeth and gums can also benefit your whole body as inadequate oral hygiene has been linked to the development of certain health conditions, such as heart disease and strokes. The aim of the treatment is to remove all infection . At the first appointment, the infected pulp is removed. Any abscesses, which may be present, can also be drained at this time. The root canal is then cleaned and shaped ready for the fil ling. 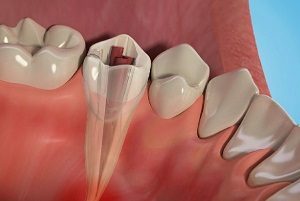 A temporary filling is put in and the tooth is left to settle.